I’m still riding high on a beautiful orange wave of various pumpkin dishes. For weeks and weeks I just can’t walk by those beauties in the super markets. 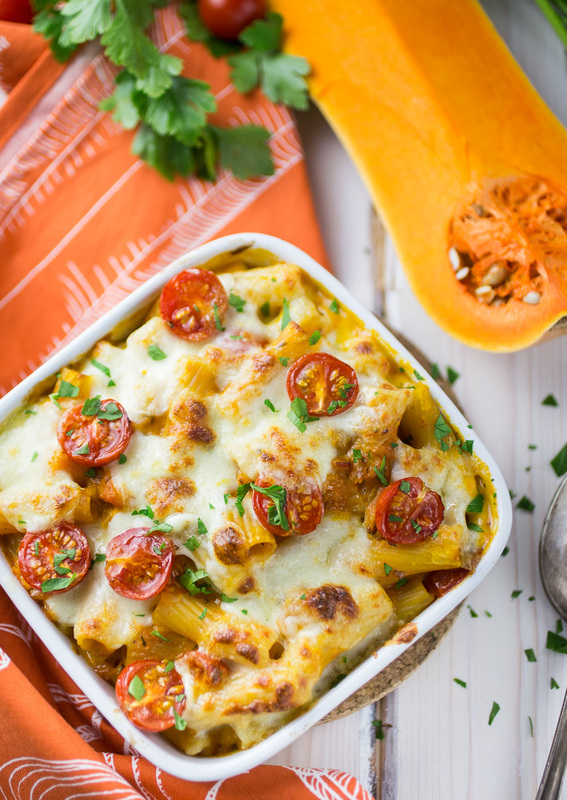 I have blogged about pumpkin pasta dishes in the past, like this delicious Butternut Squash Carbonara, and today I’m bringing you another recipe for a Pumpkin Pasta Bake. 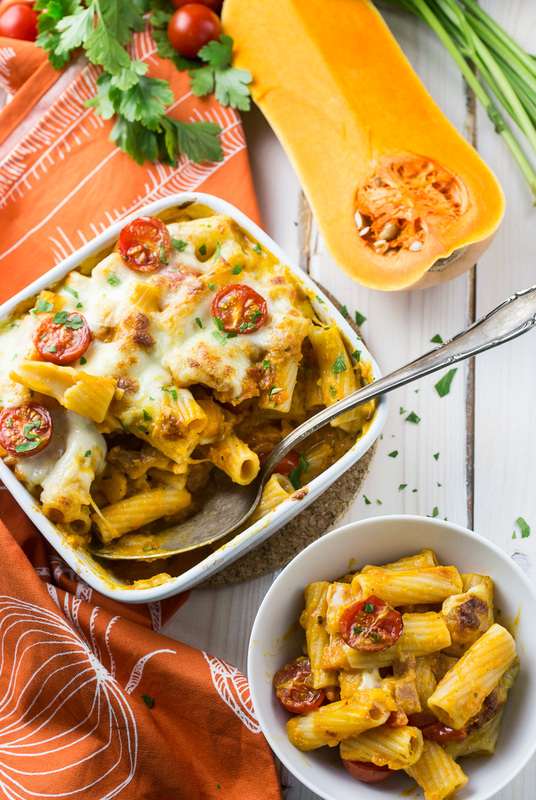 What I love most about those pumpkin pasta dishes, is that you have the illusion of having a super rich and creamy sauce that tastes as if it was made with tons of heavy cream, but the creaminess comes almost exclusively from the pureed squash. You can use canned pumpkin puree to make this a super quick weeknight dinner, you can roast your own pumpkin or squash to make the puree, which I would always recommend, or you could use the leftovers from my yummy Roasted Hokkaido Pumpkin recipe, in which case you should leave out the thyme, rosemary and garlic from the pasta bake recipe, since the roasted pumpkin is already flavoured sufficiently. 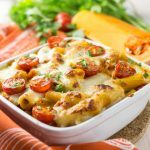 In this very recipe I used butternut squash, but you could of course use any other edible pumpkin or squash. Together with the herbs and wine the puree makes a great smooth sauce. I added some cherry tomatoes for acidity and fruity flavour and topped everything with fresh mozarella. 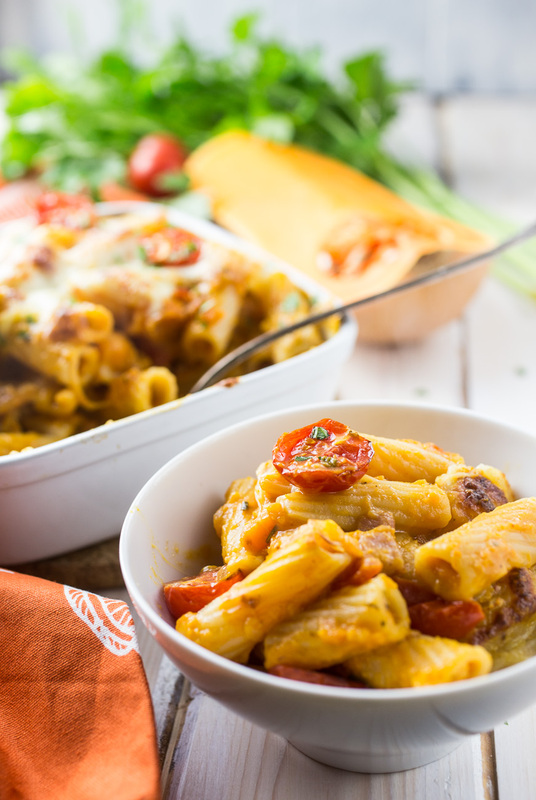 The result is a great creamy pumkinpasta bake, that will be a real crowd pleaser. Enjoy! 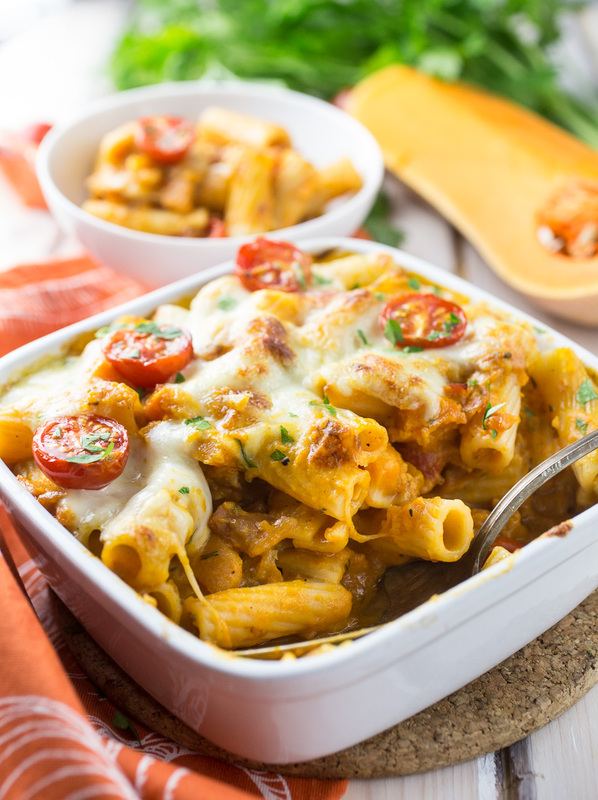 A rich and creamy pumpkin pasta bake,topped with mozarella and tomatoes. Heat a splash of olive oil in large frying pan, add the onion and garlic and fry for 1-2 minutes until translucent. Add the fresh cubbed pumpkin and bacon and fry over medium heat until the pumpkin has soften a bit. Add the tomato paste and cook for 1-2 minutes. Add the white wine, the pumpkin puree, water, rosemary and thyme. Add salt and peppr to taste. Stir well and let the sauce simmer for 10 minutes. 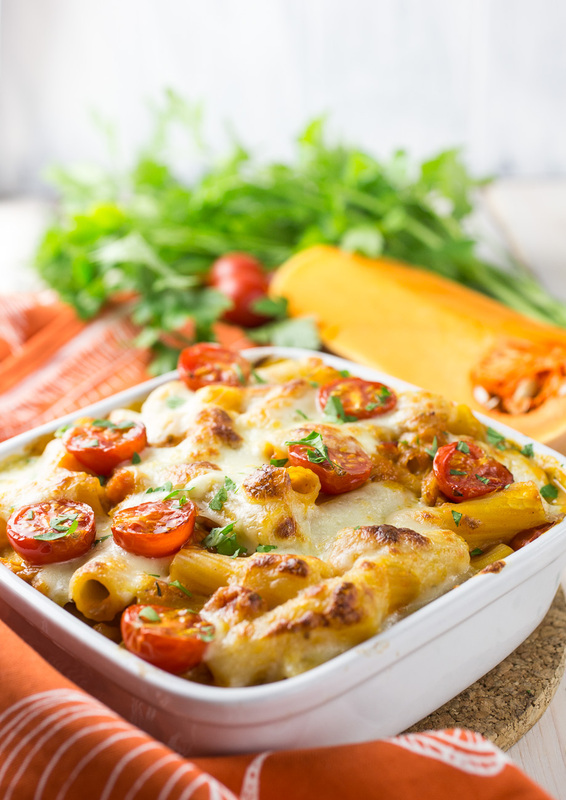 Meanwhile cook the pasta according to package and heat the broiler in your oven. Add the crème fraîche to the sauce and stir in 2/3 of the cherry tomatoes. If the sauce is too thick for your taste add ½ cup of the pasta cooking water. Take off the heat. Drain the pasta and add it to the sauce. Stir to combine and transfer everything into an ovenproof dish. 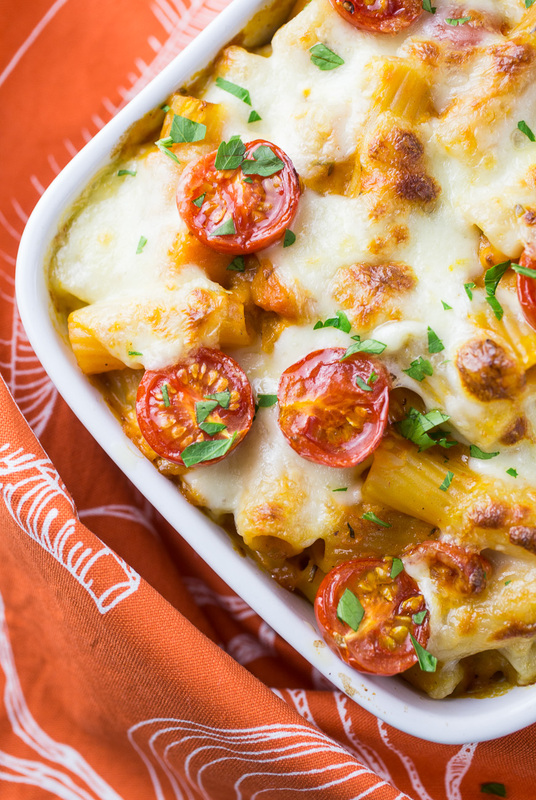 Tear the mozarella into small chunks and spread over the top of the pasta. Finish with the leftover cherry tomatoes. Pop everything under the broiler for 5-10 minutes or until the cheese has melted and is slightly brown. This looks so incredibly delicious! 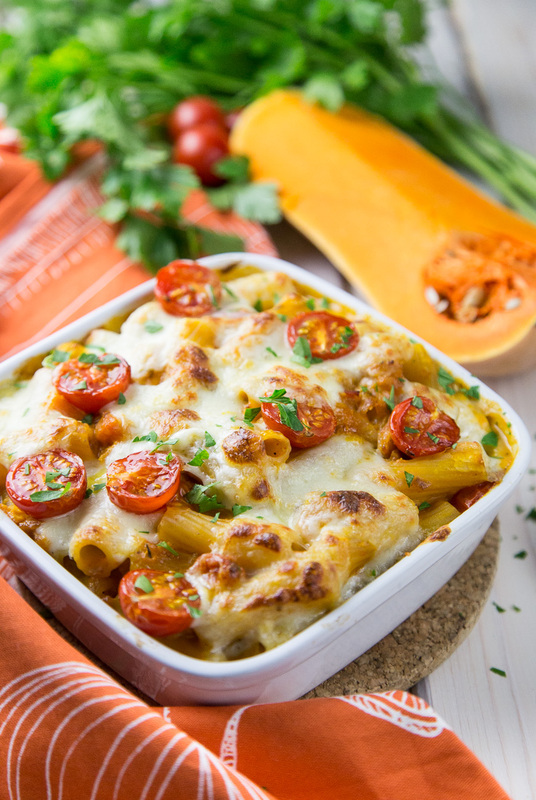 I love the sound of a creamy pumpkin sauce, and that crusty mozzarella on top is calling my name! Thanks so much, Valentina! 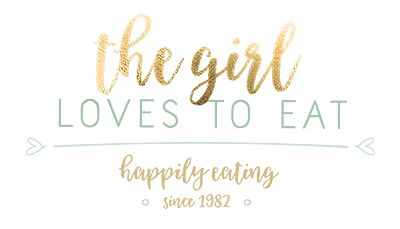 And beautiful Blog you got there. Definitely adding you to my reading list!